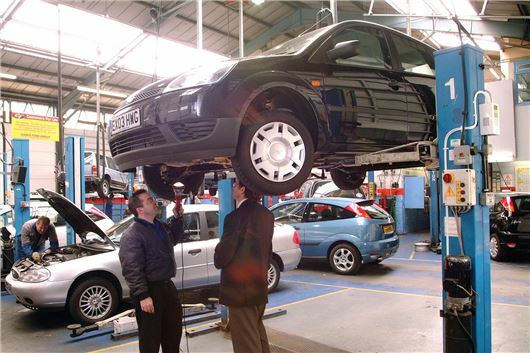 According to the SMMT, British motorists spend £695 each every year looking after their cars – 12% more than the global average. The SMMT turned this into a news item, headlined: "British cars among world’s best kept with £21.1 billion spent on service and repair every year." And numerous motor websites simply ran that, as it stood, without sitting back and thinking about it. £695 per British motorist is a lot of money. But it doesn't follow that British cars are "among world’s best kept." It translates that Brits are being asked to fork out more for work on their cars than the citizens of other countries. That doesn't mean Brits are being ripped off. It only means they are being asked to pay more in garage 'labour rates' that in turn are based on the cost of the property where the labour takes place. And this is the penalty of an economy that depends on constantly rising property values in order to function at all. The more the 'value' of your house goes up, the more you're going to have to pay for work done in any property. I'd have dumped the press release in my clippings file had the difference in the prices of work on cars not been brought home to me over the past week. Our 97,000 kilometre Honda Jazz in Thailand was due for a 10,000 kilometre oil change. 'Fully synthetic', plus filter, properly drained from the sump and the engine cleaned up with an air-line all for £42. A rear offside wheel bearing became noisy. Straight to the nearest Honda franchise. Booked in and done the same afternoon for £58, and correctly shown the worn-out part on collection. In contrast, a BMW 3-Series owning reader has a new offside rear wheel bearing fitted by a BMW dealer in the UK and it cost him £350.